Premium instant coffee. It sounds contradictory at first. Does such a thing even exist? For decades, instant coffee has meant jars of flaky granules that live on the lower shelves of the supermarket. It has been an inexpensive, no-fuss choice for anyone who just wants a cup of joe fast. But a new wave of startup US companies, including Swift Cup Coffee, Sudden Coffee and Voila, aim to change that. And Chicago-based Intelligentsia Coffee & Tea is joining the effort. 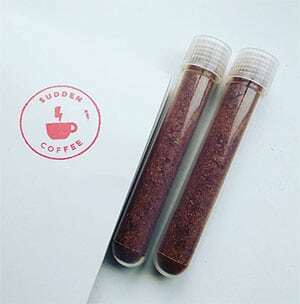 Partnering with San Francisco-based Sudden Coffee, Intelligentsia has quietly launched a new line of instant — Rayos Del Sol, a single-origin coffee from Peru — in a crystallised, single-serve format. 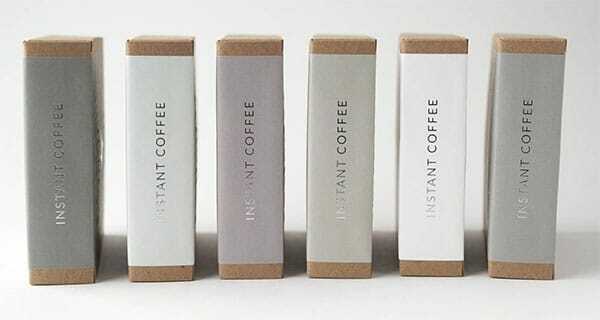 A four-pack of single-serve instant sells for $13 and is packed in airtight, compostable tubes. The early returns have been positive. The company’s initial order sold out online, and supplies at Chicago-area coffee bars are limited. A front-counter display at Intelligentsia’s Logan Square cafe recently elicited responses of “wow” and “very cool” from customers. It’s part of the new wave of Third Wave coffee, and behind it is a collection of entrepreneurs who have developed proprietary freeze-drying and dehydrating methods to produce premium (or specialty) instant coffee. The goal of Joshua Zloof of Sudden, Nate Kaiser of Swift Cup and Kent Sheridan of Voila is simple — change the way people drink coffee. The “Third Wave” of coffee summarises the current trend toward specialty coffees produced by small-batch roasters with a focus on artisan techniques, sustainable methods, and closer relationships with growers and harvesters. Locally, this would include Intelligentsia, Metropolis, Dark Matter, Halfwit, Gaslight, Metric and others. The First Wave is considered the initial acceleration of coffee consumption on a wide scale in the mid-1800s and early 1900s. Brands such as Folgers, Hills Brothers and Maxwell House pioneered mass production and vacuum-sealing to preserve freshness. The Second Wave was ushered in with the emergence of coffee shop chains like Starbucks, specialty beverages and a new awareness of coffee origins, brewing methods and harvesting practices. The new spin on Third Wave coffee is that instead of relying on a brewed pot or a barista, specialty, high-end coffee should be available anywhere, and in the time it takes to pour water into a cup. And Zloof, Kaiser and Sheridan are doing something about it. The three millennials have teamed up with some of the country’s leading specialty roasters and fine-tuned processes to turn small, flavour-concentrated coffee batches into instant coffee. They have built small businesses focused on selling coffees or processing instant for others. Together, Sudden (San Francisco), Swift Cup (Lancaster, Pa) and Voila (Bend, Ore) also have become the leading ambassadors for the specialty instant market, relying heavily on social media, crowdsourcing and word of mouth to establish their brands. “Great coffee is a simple luxury that can make someone’s day a whole lot better,” said Zloof, who co-founded Sudden Coffee with international barista champion, Kalle Freese, in 2015. Convenience is the primary selling point for the premium instant products. Packaging is kept minimal, some products are not much larger than a packet of sugar — or in the case of Intelligentsia, a 3-inch glass tube — and all you need to turn the crystals into a premium cup of coffee is water. Hot or cold. “The instant coffee market has been long been crowded by traditional instant companies,” said Sheridan, who founded Voila in 2016. While the method of freeze-drying coffee dates back decades, it’s been recently re-engineered to tap into the surge in demand for higher quality coffees, single origin and nuanced blends. The process involves brewing coffee in small batches to achieve precise extractions for optimal flavour, freezing to temperatures as low as minus 50 to minus 80 degrees F, placing the coffee in a vacuum to lower pressure and eliminate the frozen water through sublimation, and a secondary drying phase to remove moisture before the coffee is ready to be packaged in crystallised form. While mainstream instant applies heat to turn coffee into granules in seconds, the freezing process can take up to 30 hours. “The process is quite labor-intensive,” Kaiser said. “It also preserves the flavour integrity and aroma of the blend.”….